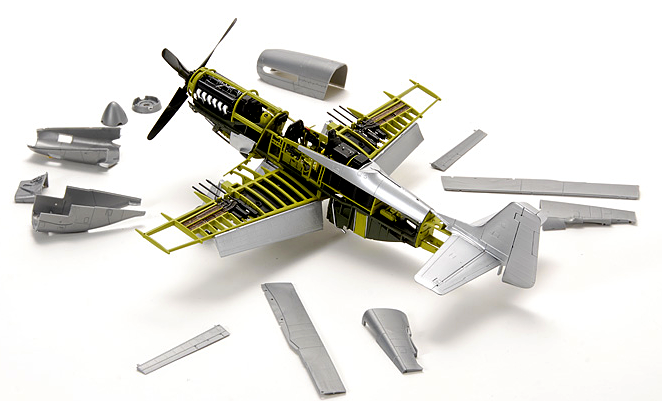 More goodness from Zoukei-Mura is about to fly your way, with a “build from the inside out” Mustang, that’s just packed with interior detail. In Zoukei-Mura’s words: “I want to build the Mustang from the inside out! 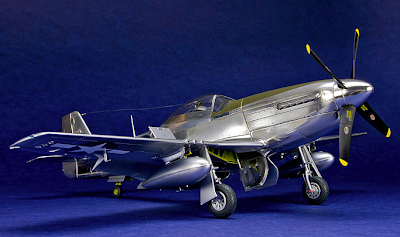 !” And that seems to be what this try-harder model company has succeeded in doing, with a 1:32 scale P-51D that has to have more detail aboard than anything seen before. 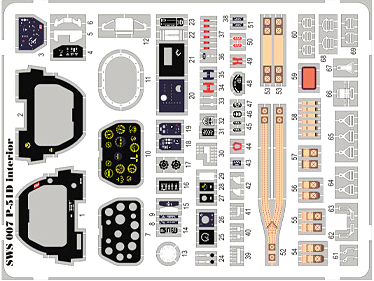 Parts come in four colours, with a component-count of some 283 in all, though this has not quite been finalised yet. We’re in awe here of Zoukei-Mura’s dedication to detail - the P-51D has no less than 14 sub-packs to provide even more of the nitty-gritty than the basic kit has to offer. 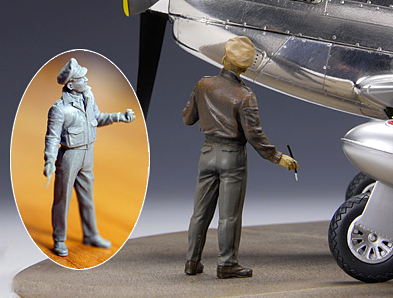 Perhaps the most unusual extra depicts a US Air Force officer holding a paintbrush - he’s called a: “Battlefield Artist”, though whether he’s an official war artist or the squadron nose-art painter is up to you. 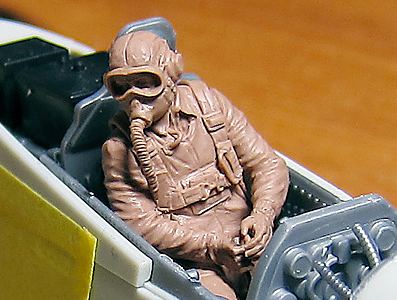 Standing pilots and ground crew are other offerings, and as you can see from the picture here, the seated figure wearing goggles and oxygen equipment looks simply outstanding. 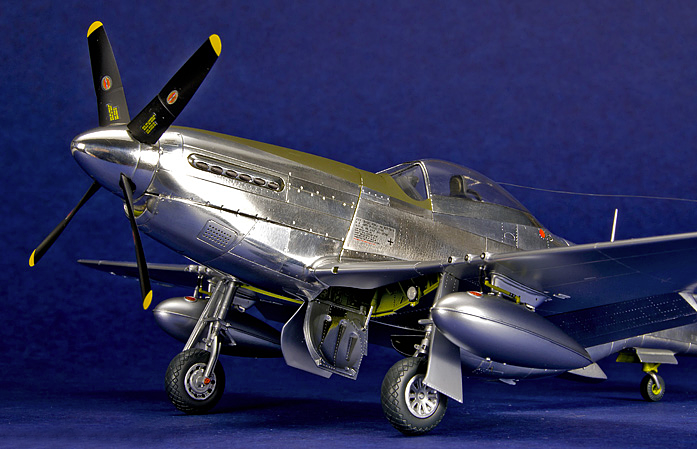 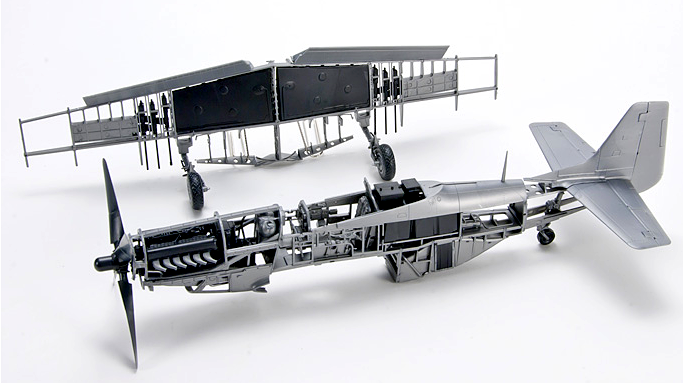 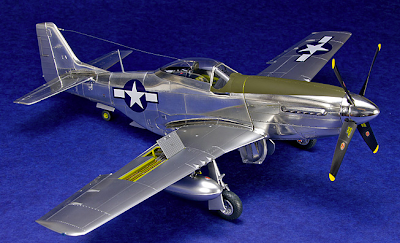 One of Zoukei-Mura’s SWS (Super Wing Series), the 1:32 scale P-51D Mustang looks to be a winner, and all those detail packs should keep anyone quiet. 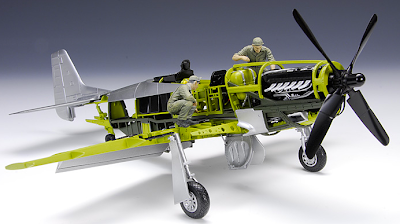 Yes please - and if you want one, the kit is limited to five per customer. 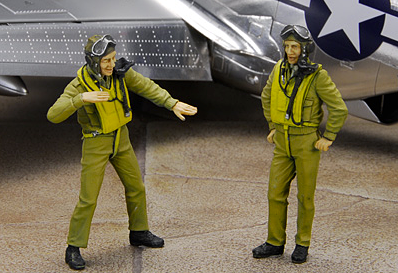 Order direct and at present international shipping is free, and the price is discounted, so it’s cheaper than the Tamiya P-51D to the same scale. 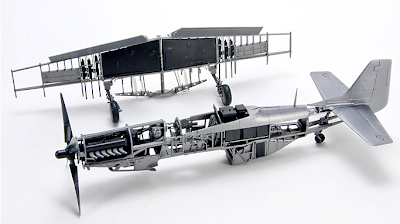 Want something simpler to build? 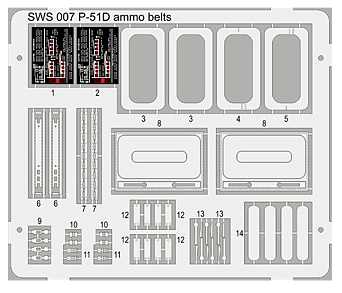 There’s plenty of choice here.